The Letter Races Handwriting Game incorporates fine motor and visual motor skills in a FUN team game. 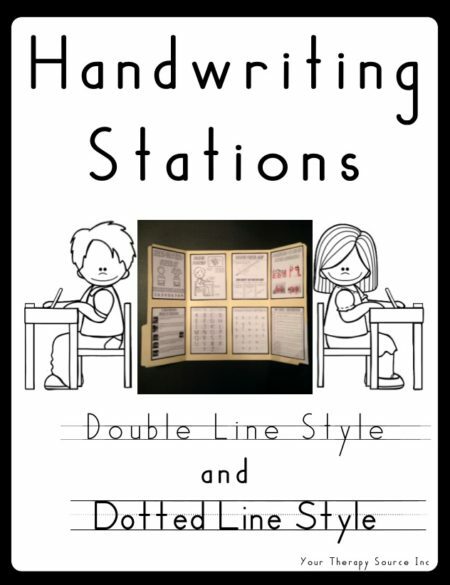 Practice scissor skills, coloring, fine motor strengthening, coordination, and letter formation with this engaging activity. This packet was created by Regina Parsons-Allan, COTA. 42 page PDF digital document delivered electronically immediately following payment. 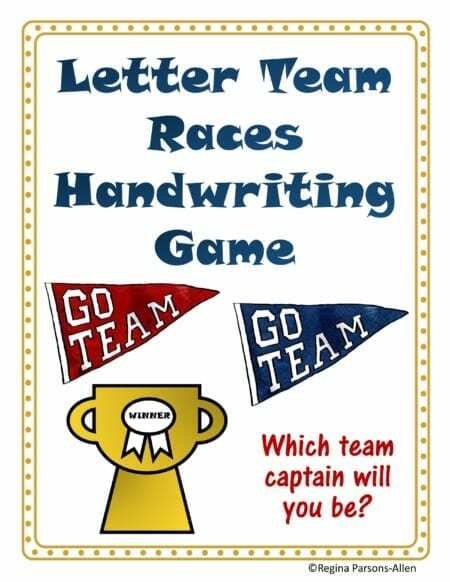 Choose to be a team captain for UPPERCASE or lowercase letters. 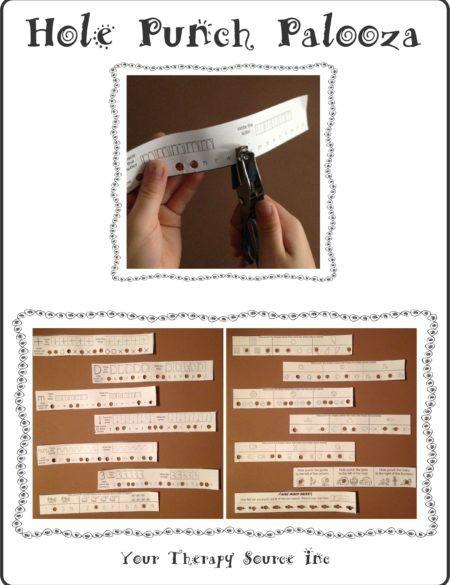 Cut out the letters and start picking them out and writing them down. Color and cut out your own team captain badge. The first team with all of their letters is the winner of the trophy! There are also DIY blank game boards if you want to focus on certain letters to create your own games! 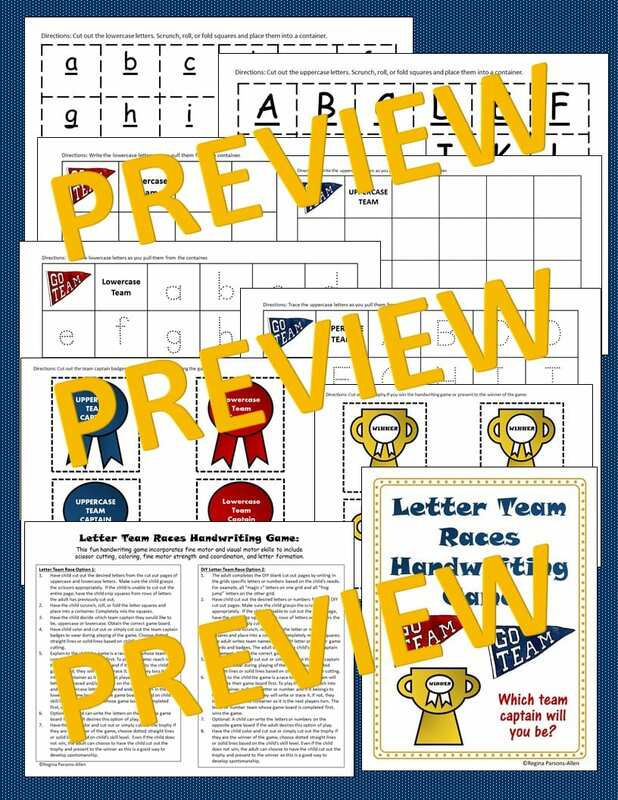 The Letter Races Handwriting Game is part of the Fine Motor Stations, Task Cards and Patterns bundle. 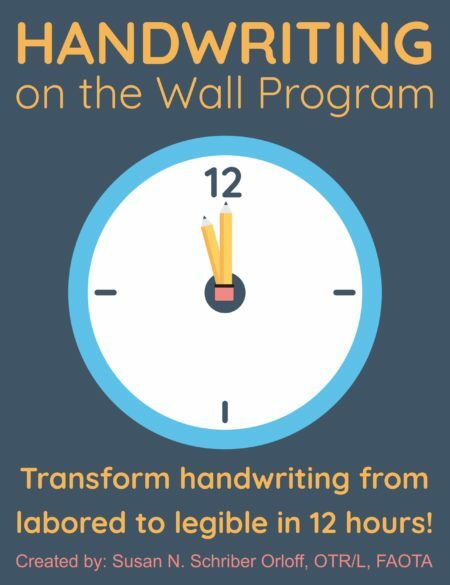 Check out more handwriting resources here.